This was the biggest year ever for eSports. Competitive gaming has more players, a bigger audience, and a brighter future than ever before. Over a period of 10 days, the Daily Dot will profile people who’ve fueled this unprecedented growth, from top players to industry visionaries. In earlier pieces, we looked at Sasha “Scarlett” Hostyn, the 20-year-old StarCraft 2 phenom from Canada, and Erik Johnson, Valve’s eSports genius. Today, we’re meeting the cofounder of Twitch, the streaming site on the vanguard of the eSports revolution. Twitch, the video streaming service, has easily been the most important institution in eSports for the past two years. Of course, before Twitch was founded in 2011, the most important service for eSports was Justin.tv—its parent company. Without these two streaming trailblazers, eSports would be much smaller, quieter, and poorer today. Every major eSports event, almost every minor stream, and everything in between showed up on Twitch this year. Take, for instance, Riot’s League of Legends, which is sitting comfortably at the top of the online gaming world in large part thanks to Twitch. StarCraft 2, Dota 2, Counter-Strike: Global Offensive, Street Fighter 4, and every other competitive game has coalesced and grown around Twitch’s streaming service. 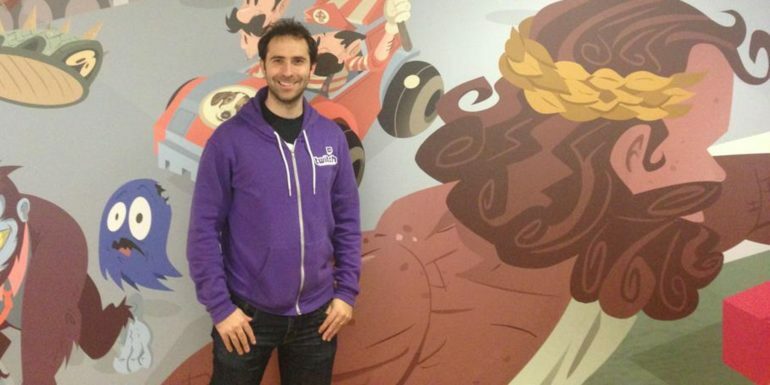 A large team of people have spent years turning Twitch into the powerhouse it is today. But if we’re going to credit one person, it has to be Emmett Shear, a cofounder of Justin.tv and now cofounder and CEO of Twitch. Twitch had a great year in 2011 and took another step forward in 2012. This year was the best so far. New video systems, upgrades to backend code, and the expansion of “subscriptions” to all partnered streamers have made Twitch the obvious go-to service for anyone looking to launch a professional quality stream. The company pulled off an absolute coup with its integration in the PlayStation 4 and Xbox One consoles, which raised Twitch’s mainstream profile enormously and brought it a significant boost in users as well. One month after the launch of the new PlayStation, for instance, 10 percent of all Twitch broadcasts came from the console. On the PC side, Twitch has integrated with Steam, the biggest digital game store, allowing viewers to earn in-game perks for watching streams of Dota 2 and Counter-Strike: Global Offensive. The new systems helped to make competitive events like The International and DreamHack enormous successes. Twitch has outlasted all direct competition and, so far, is beating giants like YouTube. While Google’s video-streaming service is beginning to roll out to the public now, Shear called the company’s efforts so far “cute.” That’s probably overstating it: YouTube unquestionably has superior tech but, at the end of the day, Twitch is winning the battle for hearts, souls, and viewers. It’s also striving to improve service by spending the $20 million investment it received in September. Twitch has repeatedly broken its own records this year, reaching 4.5 million viewers in a single day in August. Most impressive of all? Those viewers watched over two hours of video, making them some of the most dedicated audience members and sought after demographics in all of media. Everything’s not perfect for Twitch, and the company will face some serious challenges in 2014. Most importantly, its content distribution network has always had problems delivering video to Europe. That’s an entire continent of very valuable digital real estate. The company has been expanding in Europe all year by buying multiple new datacenters in an attempt to appease dissatisfied customers on the other side of the pond. Meanwhile, YouTube is finally expanding its own livestreaming to all users through Google+, a move that will directly challenge Twitch’s dominance. Twitch isn’t a small startup anymore. It’s an entrenched institution with 44 million viewers every month. Facing up against YouTube, Shear and Twitch will face their biggest challenge yet in the coming year. If Shear has his way—and he has so far—many of those eyes will be on Twitch.